The 4th of July is almost here! Bring on the warm weather, the BBQ food, the fireworks, and the parades! I absolutely love the 4th of July. 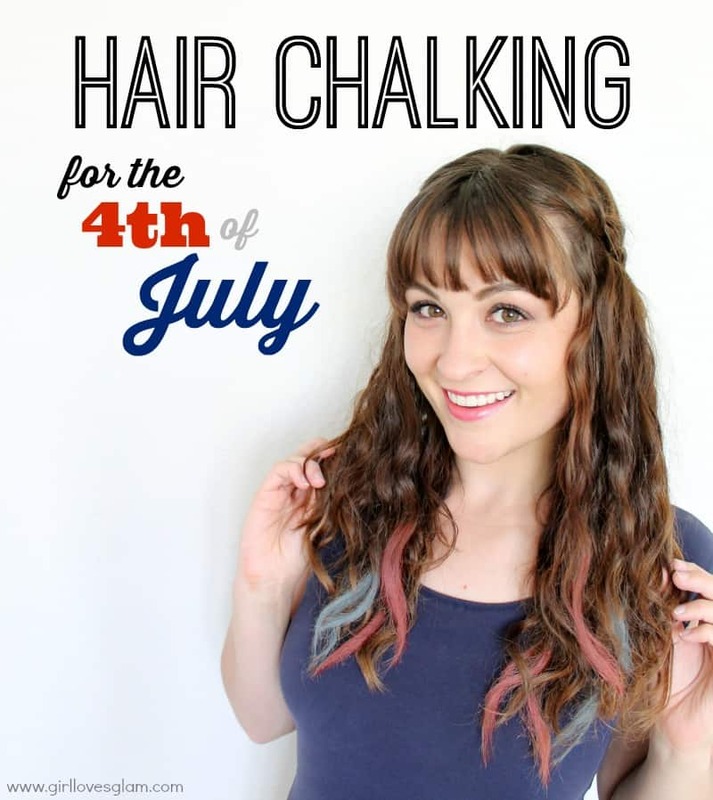 I always dress up in red, white, and blue on Independence Day, but I thought it would be fun to be able to step it up a notch this year and adding some temporary color to my hair with some DIY hair chalking! 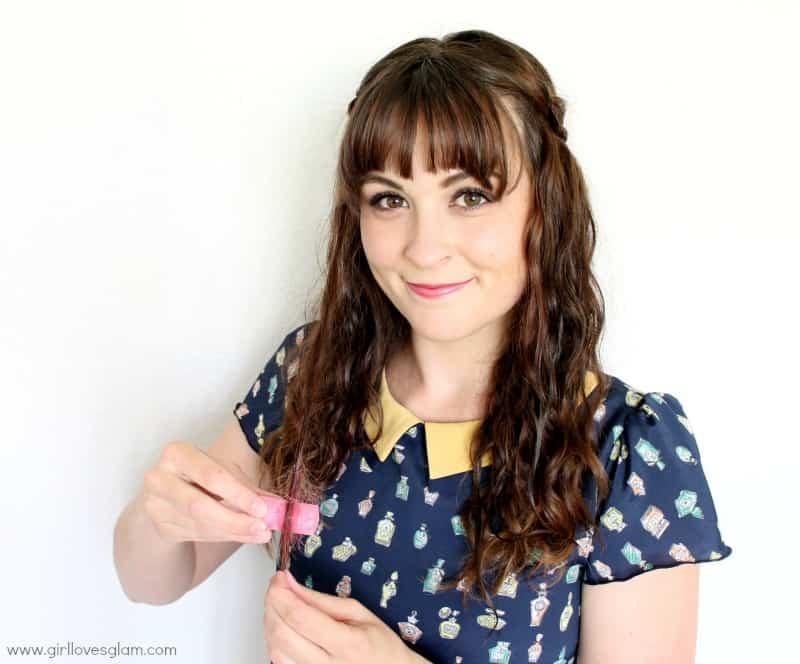 I created a full tutorial so that you can add temporary color to your hair on the big day too! I am joining in with over 100 of my blogging besties to bring you some freaking awesome 4th of July projects for you as part of our Three Cheers for the Red, White, and Blue round up! There are links to each of these posts below my tutorial. 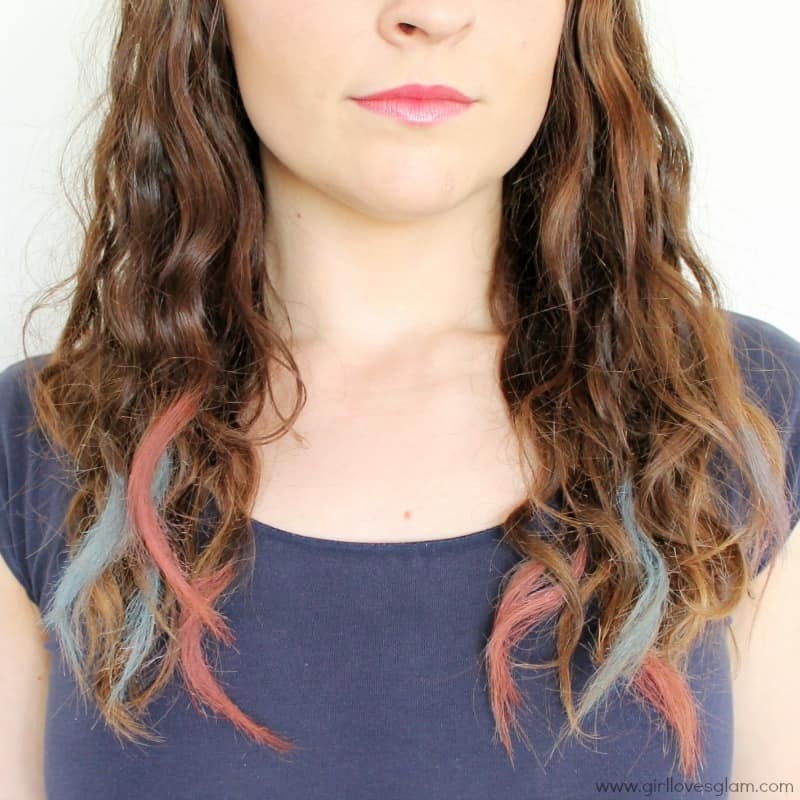 Now for the epic hair chalking DIY tutorial. 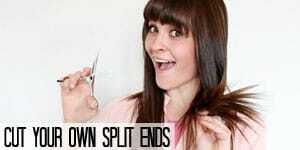 First, soak the parts of your hair that you want to color. 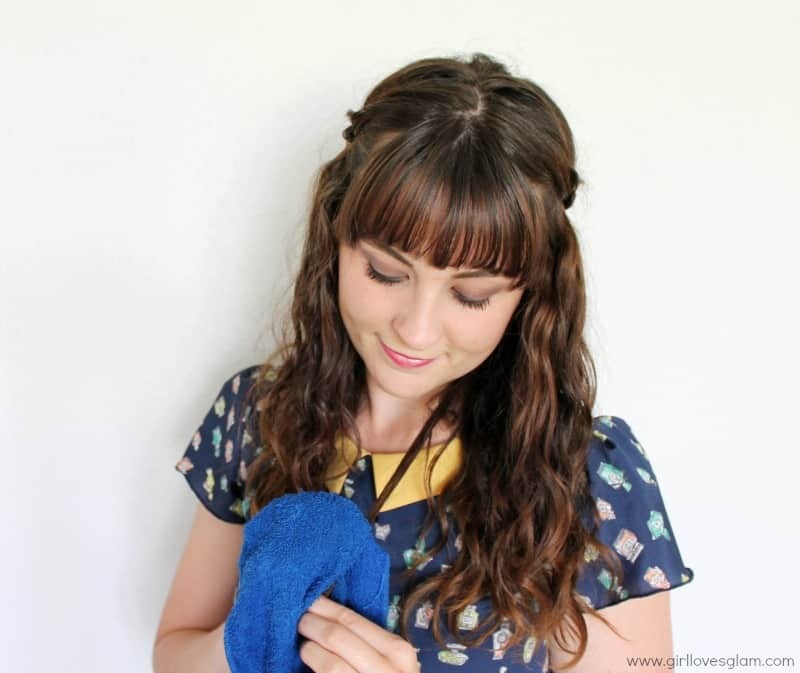 You can do this with either a wet wash cloth or a spray water bottle. You don’t have to get the entire piece of hair wet, just the part of the hair that you want to get colored. Now rub the chalk up and down on the wet part of your hair. Note that I took a picture using sidewalk chalk on my hair, but I ended up using chalk pastels instead. The sidewalk chalk didn’t come out as the right colors. The red was pink instead of being red when I used the sidewalk chalk. 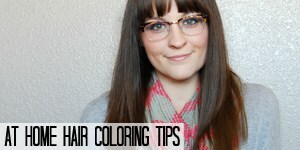 Rub each section of your hair with the color of chalk that you want that piece of hair to be. Let hair dry completely and put a little hair gel on over the color. Add more chalk to each strand and let it dry out again. If you don’t want the color to be as long lasting, don’t use the hair gel. 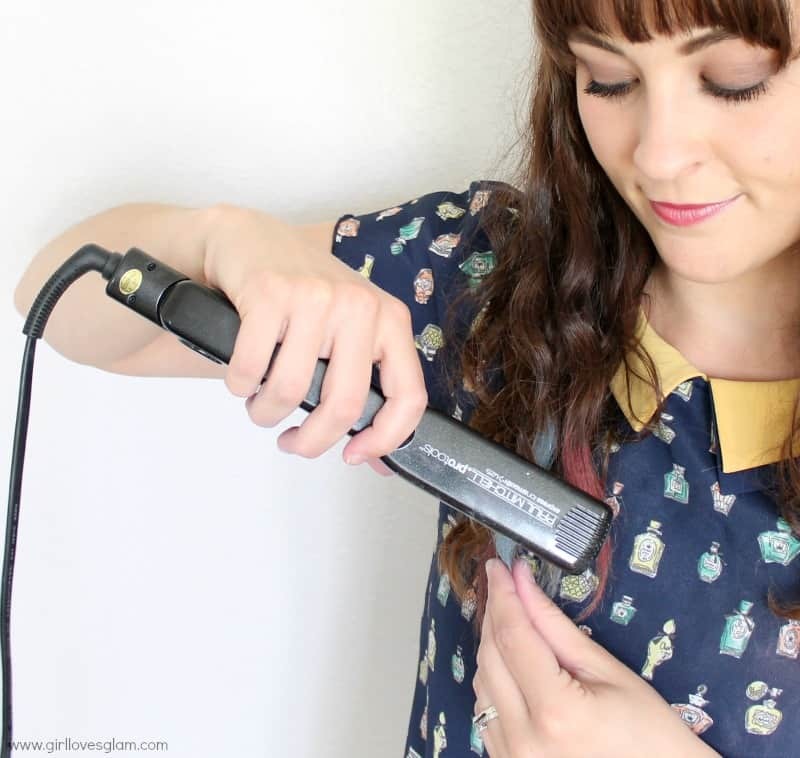 Flat iron each of color strands and spray them with hair spray. Now style them how you wish! Now you will look extra fabulous this 4th of July! You can do this with any number of colors for any other day of the year too! 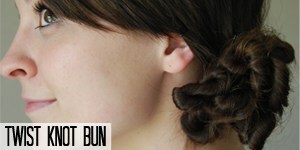 You will love these other great hair tutorials too! Now check out these awesome projects that my blog friends created too! ok, this is awesome, my girls will LOVE this idea! Pinning! 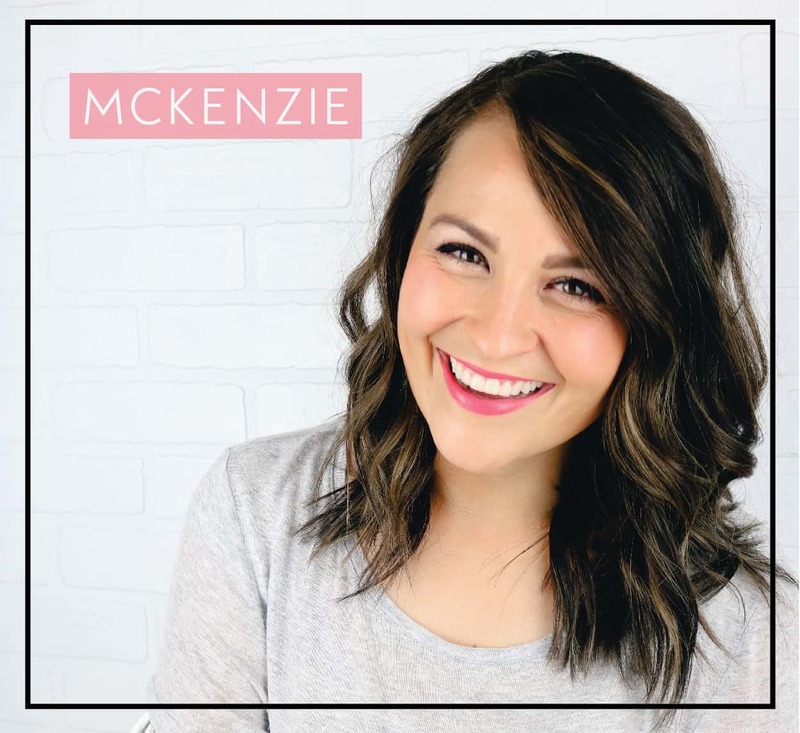 So cool, Kenz!!! II have to do this for the 4th!! love it! HOW FUN!!!!! I’m totally doing this to my daughter come Canada Day! Now I need to go to Joann’s to find pastel chalk. My girls will love this for the 4th! What a fun idea and perfect for a party! What a fun way to celebrate the day! We’re featuring it our Independence Day Round Up at Reviews, Chews & How-Tos: http://rchreviews.blogspot.com/2014/06/independence-day-diy-round-up.html Thanks so much for sharing!